and I thought, Yes! Another anti-dieting tool for my toolbox that I’ll use to convince my patients that diets don’t work and balance is best! I was nodding my head, Yes, through the author’s descriptions of various studies showing again and again how dieting lowers IQ. It looks like dieting makes us dumber because the constant thoughts of “Should I or shouldn’t I have that cookie?” take up precious bandwidth, or mental capacity, and make us less able to focus on other, likely more important, stuff. Like studying for that chemistry exam or being a patient friend or partner. 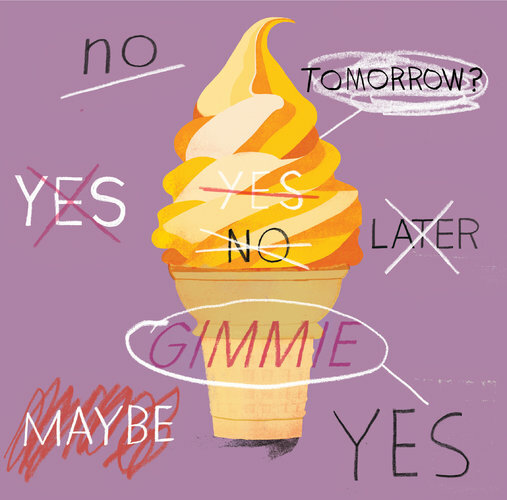 Another point that I found interesting and that I preach in my office on the daily, is the idea that “dieters have spontaneous self-generated cravings at a much higher rate than nondieters.” That is, even when there aren’t cookies around to drool over, dieters tend to fixate on foods that they’ve placed on their “bad” or “do not eat” or “no-no” list. Just try not to think about this guy. I often refer to this as the pink elephant effect. If I tell you, whatever you do, do NOT think about a pink elephant…well, chances are you just thought about a pink elephant. Best to be open to all foods and fit them into your meals and snacks in balanced ways. More on that later. So, there I was, nodding my way through the article and then BAM! My bubble was burst when I got to the prescriptive portion. The author’s recommendation for managing scarcity: try the Atkins diet because it requires less thinking. No no no. I am not trying to diss the mega-industry that is Atkins, but in an article that clearly shows that banning foods causes “spontaneous self-generated cravings” that can be derailing both for someone’s physical and psychological health, how in the world does it make sense to recommend banning all carbohydrates? An entire food group! No no no no. Yes, “Atkins requires less thinking,” but is the goal really to do less thinking about our foods and tune out what our bodies are telling us? Shouldn’t the goal be to tune in? There is no one prescription for healthy eating. 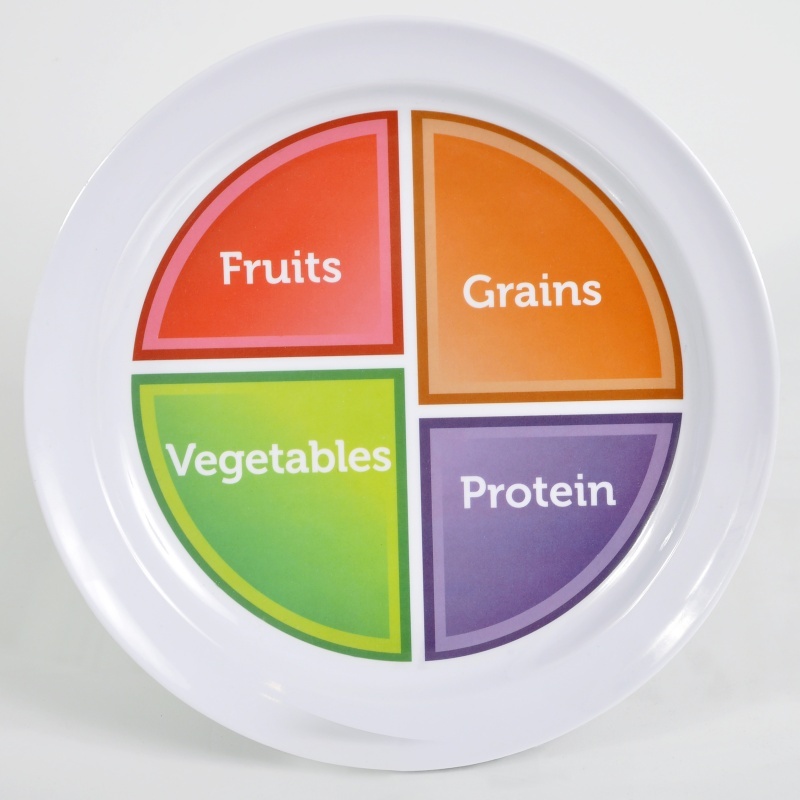 I teach most of my patients the plate method and I truly think all foods can fit in a balanced diet. But I say we also need to focus our energies on alleviating scarcity and managing stress, and that’s why I often refer my patients to counseling. Getting rid of diet rules and building positive self-esteem is often the first step to wellness. My recommendation: stop demonizing the cookies. Love your body. Go see a registered dietitian. Or a therapist. Free up some bandwidth. Next Article 7 Steps to a Healthier YOU! Pingback: Sigues llesta, NO facis dieta per aprimar-te! | Sophia Blasco: Receptes per Viure Bé!